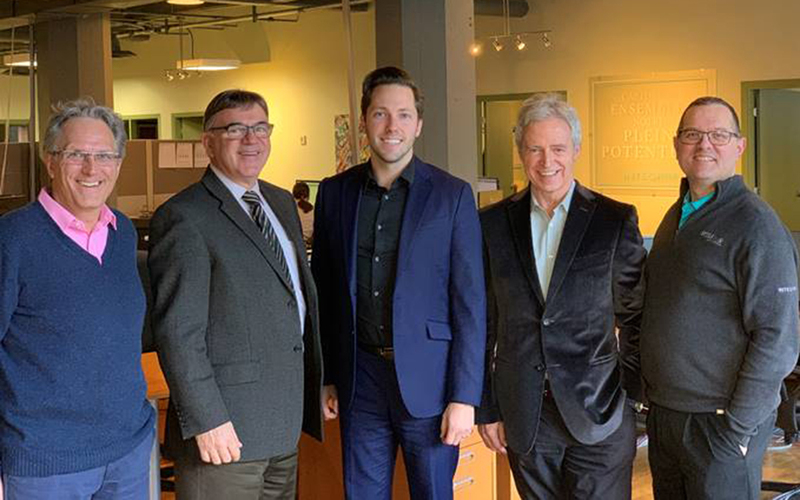 MONTRÉAL, April 3, 2019 / – Document automation specialist INTEGRIM is proud to announce the acquisition of Logikia, a Canadian provider of accounts payable automation solutions. Powered by artificial intelligence (AI), Logikia solutions operate based on industry best practices. Logikia is broadly recognized as a proven cloud-based environment designed to integrate seamlessly into many popular enterprises resource planning (ERP) systems. Logikia strategic market position, high performance automated document processing capabilities and undeniably innovative digital solution practices align with perfection to INTEGRIM’s development criteria. Through this acquisition, INTEGRIM will be poised to grow their extensive lineup of products and services, while providing businesses with the best, most widely recognized digital document processing and financial system integration solutions in the market. The addition of specific Logikia solution components will further enable INTEGRIM to tailor offerings optimally to the varying needs of departments across all manner of organizations. “In our view, Logikia represents a powerful lever for enhancing our valuation and growth strategy in both Canada and the United States. Moreover, to substantiate our presence and accelerate expansion in the US, we recently inaugurated our first American office which is located in the greater Boston area,” recounts Daniel Desgagné, Chief Operating Officer with INTEGRIM. Founded in 1992, INTEGRIM ranks among the leaders in document automation technology in Canada and, with the opening of an office in Manchester, New Hampshire, substantiates the company’s service offering in the United States. INTEGRIM provides a comprehensive portfolio of business services and solutions, on-premise or cloud-based, such as SenSaaS! which enable companies to eliminate manual data entry and facilitate the digital processing and approval of documents through electronic solutions designed to support client IT and financial systems. These technologies provide for the automation of accounts payable, accounts receivable, payment control, sales order processing, travel and expense accounts, as well as HR contracts and files. INTEGRIM’s close cooperation with clients and partners is fuelled by our commitment and capacity to provide and deploy performance-oriented systems intended to support clients on their digital transformation journey. Our objective is to enhance resource efficiency in relation to document processing, reduce operating costs and drive client growth through the implementation of innovative technologies.